What is Social Security Disability Insurance? Social Security Disability Insurance (SSDI) is a Federal disability income program for adults who have worked and now find themselves unable to work due to a disability. Americans like to work. We like to earn our own way. And most of us do exactly that for most of our lives. But some of us aren’t that lucky. Some of us get hurt or get sick and simply can’t go on working as before. That’s why there is a Disability section of the Social Security law. And that is why your FICA taxes pay for both Social Security Retirement and for Social Security Disability. Social Security really is an “Entitlement.” Some politicians have tried to put a negative spin on that word. But consider this: The word “Entitlement” means something to which you are entitled. It’s something you’ve paid for—FICA taxes come out of your paycheck to pay for this social insurance. It’s like a title for your car or for your home or any other insurance policy. It’s the same thing with your Social Security benefits. You have paid for them. And if you become disabled, these benefits are available to you if you apply.  At Argyropoulos and Associates LLC, our attorneys provide assistance to those who are disabled and need help in applying for and receiving SSD benefits. Our law firm serves SSD clients in many areas of New York, including Manhattan, Brooklyn, Queens, the Bronx, Staten Island, New York County, Kings County, Queens County, Bronx County, Richmond County, Nassau, Westchester, and other New York counties.